I’m older now. I’m stronger. How do you know I haven’t sorted out some natural equilibrium all on my own? Maybe we should try it, just for a bit. Diagnosed with a severe mental illness as a child, Anna was prescribed a cocktail of pills. Now a young adult, she’s wondering how life might feel without them. But as she tries to move beyond the labels that have defined her, her mother feels compelled to intervene - threatening the fragile balance they have both fought so hard to maintain. 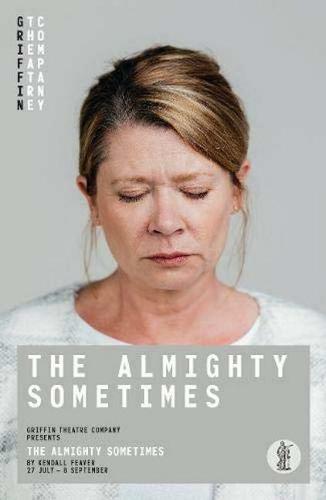 Winner of a Judges Award at the 2015 Bruntwood Prize for Playwriting, Kendall Feaver’s The Almighty Sometimes premiered at the Royal Exchange, Manchester, in February 2018. The play received the the UK Theatre Award for Best New Play at 2018.